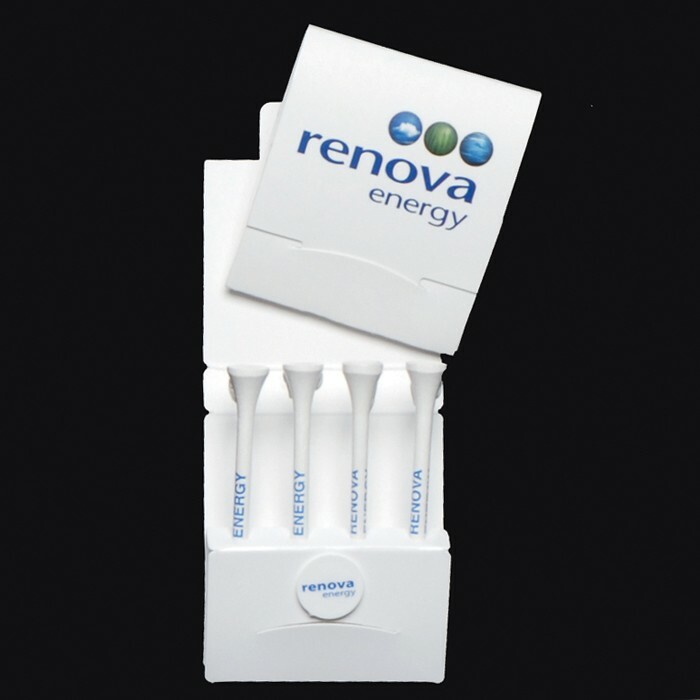 The golf tee matchbook matchfolder packet with imprinted golf tees is the perfect promotional item for giveaways at: golf tournaments, corporate events, trade shows, charities etc.. The golf tee matchbook matchfolder packet comes with an assortment of options including golf tees in 2 1/8", 2 3/4" and 3 1/4" golf tees as well as adding golf ball markers and divot fixers. Golf tee matchbook matchfolders are available in 1-4 color imprint. Price Includes: 1 color imprint on tee and marker and 1 -4 color imprint on cover $50 (V), IMPRINT SIZE front 2" x 1 1/2", back 2" x 2 1/2"